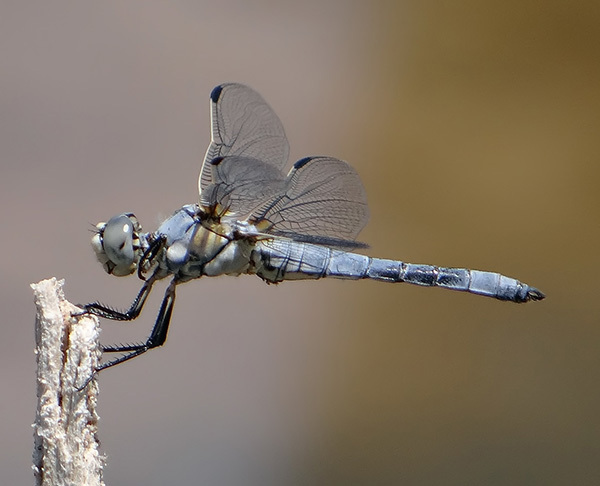 The Bleached Skimmer is known only from a handful of locations in Arizona. On 29 April 2012 Doug Danforth, Richard Bailowitz, and I found 6 individuals, including ovipositing females, at a small alkaline pond on the Paloma Ranch in W. Maricopa Co., AZ. This observation establishes a new county record for the species. Bleached Skimmer, Male, Paloma Ranch, Maricopa, AZ, 29 April 2012.